I feel compelled to write this, this evening, on the eve of our next 'Find Your Story' session that is currently challenged, because I have not presented in an understandable way. 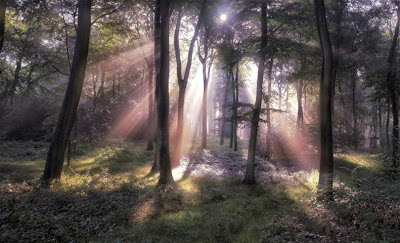 During the past week I have had a few Bards In The Woods enthusiasts ask why we do not include Forest Bathing, Forest Mindfulness, Forest Meditation, Shinrin Yoku, Healing Forest Walk etc., as part of Bards In The Woods. I explain that we do all of that as part of 'Find Your Story'. I am going to rush this post out for you as it seems to be urgent at least for the puzzled people out there. I will be adding several pics and videos to this article when I can. We have been gathering since the first Sunday of March 2012 and on most Sunday afternoons until the last Sunday in October then and each year since. These events are mainly in Public Woods and are presented as being a nature walk stroll, followed by a bardic poetry, song and story session at a romantic place, followed by a shared picnic. These events are for anyone, so children and dogs are very welcome and are a wonderful fun integration into the afternoon/ Sometimes the population for children or dogs causes us to change the event name to Bairns In The Woods or Barks In The Woods. 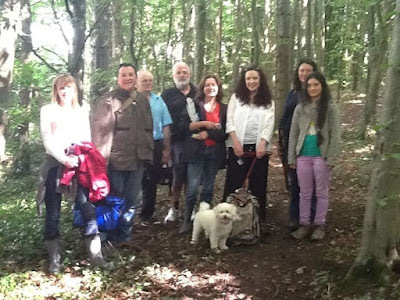 Some of the people who turn up find the idea of a nature walk too restricting. If they want to relax and de-stress they prefer reading a book, going to an indoor yoga class, or watching a movie. For them, being in the woods is action, adventure, challenge, and off they go on a power walk! Joining in poetry? Feck that! They can read the stuff another time. Some meet us later to join in the picnic. Some avoid the picnic for fear of piling on the calories that their power walk has just shed. Some people want to skip the whole walk and bardic thing and just tuck into the picnic and enjoy the social craic. This is very popular with those who bring the whole family. They may arrive later to avoid the walk and bardic session, but we are always happy to see them, and join in. Yes, some follow the presented format. There are people that love the wonder of nature, find it calms them and excite them too. Often these people are gardeners anyway. Many are in health service vocations. Their connections also cause them to write and compose poems, stories and songs. These they share, then enjoy the picnic later. Some of the Bardic types also bring children and dogs too. We have been blessed with some amazing poems and stories shared by their children. Their dogs are still working on it though. There are some who join us who do not have poems etc. to share, or are shy to share them. They also get a bit restless at too much children and dog activity. They enjoy being the audience to the nature walk banter and the bardic stops though. It is from the people of this group that I often received requests to include Forest Meditations, Forest Mindfulness etc., as this is what they feel they need. This is very challenging to do in a Public Wood among children and dogs, especially children and dogs there because its a Public Wood, and they are not there for Bards In The Woods. There are three components that make 'Find Your Story' work well. 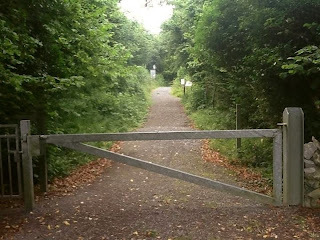 Longford Demesne Wood is a beautiful award winning private woodland that is a reserve of nature defined diversity of native trees, plants, and wildlife, plus the flow of a bubbling river to enhance the ambience. The pathways are very easy and comfortable to use. When we use Longford Demesne Woods for 'Find Your Story' it is just us! There are no other people present doing their own thing and enjoying the woods in their own way, often more energetically than what we are trying to enchant ourselves with during 'Find Your Story. At Bards In The Woods parents become multi focused. There attention is on the people around them, the chat, the craic, the picnic, and what their children are doing. 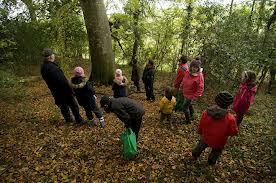 Sometimes Bards In The Woods elevates from children friendly to children centred. We let the event evolve organically. One thing for sure, at Bards In The Woods there is absolutely no chance of personal 'me' regeneration time unless there is guarantee of no children, not dogs and nopbody else around. This is not de-valuing what we do at Bards In The Woods. I believe some of each does wonders in our lives, 'me' time, and 'craic' time. I am a huge dog fan, and absolutely love it when people bring their dogs to Bards In The Woods, but like with children, what we do at 'Find Your Story' cannot happen with dogs around either, no matter how well behaved they are. Thoughts will still be on the dog. Forest Bathing? Forest Meditation? Do we do that?